Spring break, a time when college students relax before the exam season begins. While some students decide to use this break to go on “vacation” with friends, having fun, “away from the burden of college life.” Others, take this opportunity to study for exams and/or catch up on school work. Regardless of what it is that one does during this break, most of the time it is taken to de-stress from school work. For us, missionaries at CAMPUS spring break involves something entirely different, for us, it is a time to serve others. About a week before the break this year, we were tasked with planning and raising funds for a mission trip, to where we saw an opportunity to serve. It was quite an adventure just getting to plan the trip. At first, we all seem to have had suggestions, but we knew that wherever we ended up going could only be a place where God was leading us to travel to. Whether traveling towards the Midwest, East or West Coast, the Lord would be leading every step of the way. Thus, before we officially met to discuss what campus(es) we would be visiting and helping out, so we decided to spend some time in prayer. After some time, it became clear to us that California was the place. After a lot of discussions between the four of us missionaries, we had tentatively decided on going to help the student group at Stanford; however, this was only the beginning stages for our pitch to our program director, Pr. Jermaine Gayle. There were many questions still, where were we going to stay? How would be paying for our flights? etc. Nevertheless, our prayers continued. Not long after, all the pieces began to fall into place, Alex helped to secure funding. During this time he also reached out to the leaders in NorCal, Pr. Ron Pickell, for potential housing around the area for us to stay. To our surprise, in a few short hours, we had a place to stay at the Berkeley Seventh-day Adventist Church, which was a blessing! It was clear, the Lord did want us to go to California. It was time to designate responsibilities, this was really happening and we did not want to be taken by surprise. Again we had a meeting, Ahmad was our liaison with the student groups in Berkeley, Hannah was in charge of transportation, I was in charge of meal planning and meal budget. Our flights were booked, our plans to visit student groups at Stanford, UC Davis, and UC Berkeley were all underway. Our mission was to do evangelism on other secular campuses outside of Michigan. Our week was to be divided into sections, on each campus we would spend a day, with Stanford being the exception; we decided to be there for two days. We planned to do several things for outreach including, a sign with the words “Do you believe in God” on it, we had care packages prepared, and lastly to advertise the local student group events. All this with the goal of finding an opportunity to have spiritual conversations with students, in hopes that they might be interested in Bible studies. We arrived in San Francisco around 6 pm with very little time to spare, we drove to Soquel, we were ready for what California had to offer. Our first stop was to attend the Adventist Christian Fellowship (ACF) Retreat. This was probably one of my favorite parts of the mission trip. Friday night we had dinner, introduced ourselves to each other, and had an icebreaker. Compared to our retreats here in Michigan, the NorCal retreat was a lot smaller and more personal, which I really liked. Saturday we spent the whole day just getting to know each other; we took a personality test. We compared our strengths and our weaknesses. This exercise helped us to learn more about each other in a whole different way, it truly was an amazing experience because it made us, or at least made me realize that there are other people just like us, who struggle with the same things and/or process things the same way. Later in the day, we had a team building activity where we acted out bible scenes and other teams guessed what scene it was. Afterwards, we started another activity called “Master and Servant”, in which certain personalities would serve as Masters or Servants. The point of this activity, at first, seemed like it was just a team building activity, which it was, but also was tied with our second activity for that evening. For after about 2 hours of servants serving their masters, and doing whatever their master requested them to do, there was a shift, unbeknownst to the servants. While all the servants left the room to work on something for their masters, we were informed that now during this half of the activity, it was our, the masters, turn to serve the servants. However, this did not mean that we were simply going to reverse the roles and now the masters were going to do whatever the servants wanted. Instead, we served our servants in the same way that Jesus served his disciples, by washing their feet. This led to our next activity: a communion service. Because of the community building activities that we had been doing all day, this was a bit different from other communion services that I have participated in. It was a great time for reflection not only on everything that we learned about ourselves and other people, but also to reflect on what it means to be a master and a servant. On Sunday we had breakfast, then a quick meeting about how we thought the retreat went and the leaders gave a few announcements about upcoming activities, asked for volunteers to help clean up the camp and announced that they were working on a video and would like people to record a quick 30 second video for their video on the retreat. We ended up leaving Soquel around 1:30 pm and while we planned to just go straight to the church, unpack and settle down, that is not exactly what ended up happening. 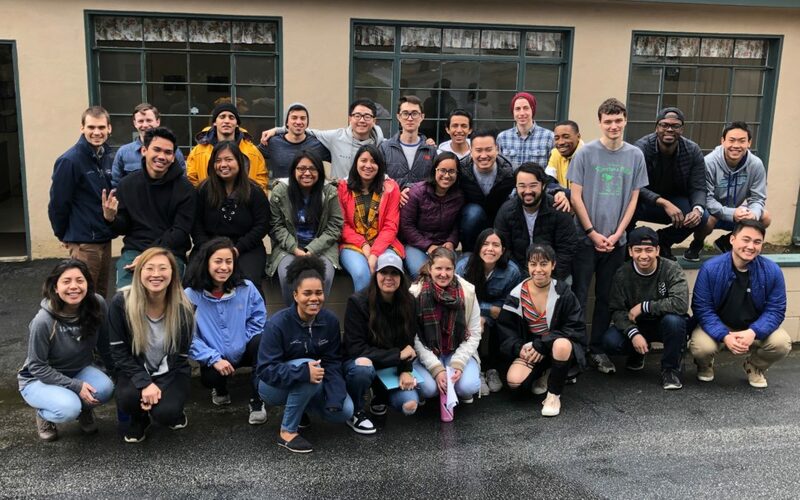 The Berkeley student group invited us to join them in Santa Cruz to visit the boardwalk with them and then we went out for lunch. On Monday and Tuesday, we spent our day doing outreach at Stanford. To be honest, at first it was a bit intimidating thinking about doing outreach at Stanford, or any of the campuses that we were visiting for that matter, since we were not students there and not even from California, so we thought it would be a little harder for us to try to connect with the students on the campus. However, quickly we realized how wrong we were. As soon as we set up our massage station, we already had people asking us what we were doing, why we were doing it, and if it was actually free. We answered their questions as they got free massages. It seemed that because this was something new, we were given the opportunity to share what we were doing, and why we were doing it. We shared with students different aspects of CAMPUS ministries. This often led to spiritual conversations, regarding God and His love for us, and what it means to serve as a missionary. On Tuesday we had our care packages ready to hand out, we gave them to students who filled out the sign/survey about their belief, or disbelief, in God, and why/why not. During these exercises, we had some very good conversations. Many of the students liked what we were doing and started sharing with friends, classmates, and faculty. We had students and professors who came to just see if free massages were a real thing. It was great to hear that students were coming to get a massage because their friend told them about it or posted about it on social media. In all, this allowed us to share Christ with at least 70 students and give about 50 massages. On Wednesday, we left Berkeley while it was raining and arrived at U.C Davis. We were not sure where we would be able to do massages, because in our experience it is always easier to do massages outside, in the open, where people could see what we were doing, so they can also tell their friends about it. With the rain, however, we had nowhere to go, and so we prayed. As soon as we were done, there was a drizzle, we headed to our location. We set up the massage chairs, brought the care packages, and set up our signs. Then all of a sudden, it stopped raining, and the sun came out. Granted, it only came out for a good 10 minutes, but it came out. The Lord cleared the skies so that we could do massages at U.C Davis. On Thursday, we arrived on the campus of U.C Berkley around noon, we decided to set up our usual: massage chairs, care packages, and our survey/poster about God. What surprised me the most was the fact that when holding our poster survey about God, Not long after, people began to stop by. People were shocked to see how many Christians were on their campus, our prayers, our signs and massages brought them together.  Attending a public university is hard, especially being a Christian. Thus, having a community of like-minded people like ACF student groups not only serve as a way to reach the campus for Christ but also as a means to reach the Christians who may or may not be struggling. In conlusion, we are forever grateful for the amazing opportunity that we had to go and help student groups on these campues. While our task was to help them, they have also helped us a lot with our ministry, too. We did not know anyone at first, but as time progressed in seemed that we worked as a team, helped out other. Overall, everyone was kind and welcoming. By that Sunday we had already made friends with a number of students. This has made us reflect on how welcoming Truly this mission trip was the trip of a lifetime, and one that we will never forget.